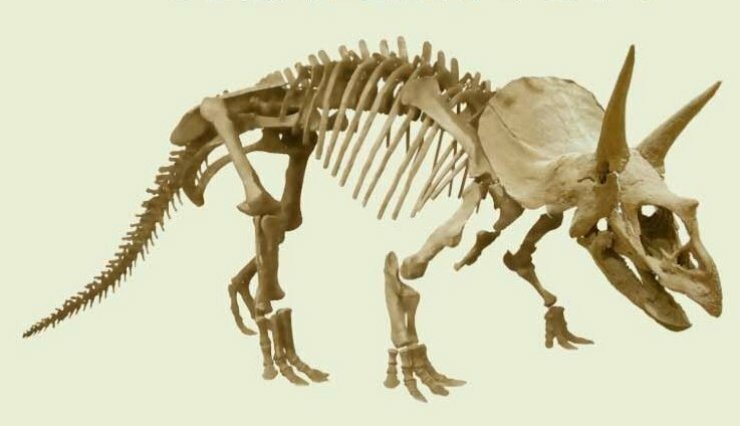 This is the skeleton of Triceratops horridus. The bones of this animal are second in abundance after Edmontosaurus, in our quarry site.You may see the names of the various parts of the skeleton by running your mouse over the skeleton. Click on the part of the skeleton you wish to learn more about, and you will be transferred to the Museum Collection of Triceratopsbones.